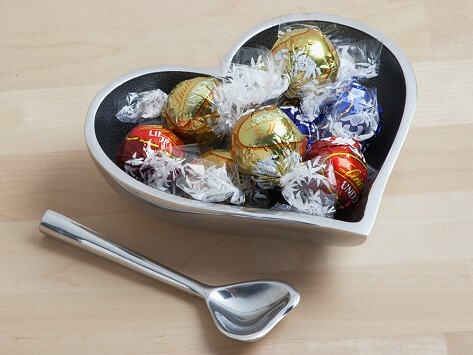 Show someone your love with a sweet, petite heart-shaped aluminum dish. 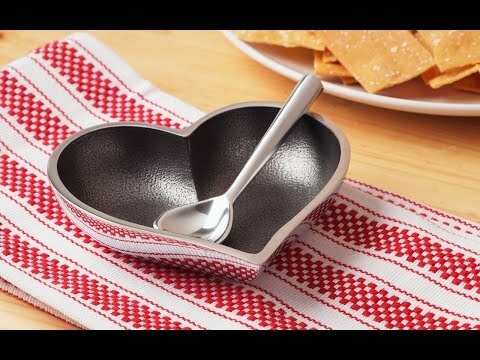 A painted interior and matching heart-shaped spoon make this food-safe piece perfect for dishing out sweet treats or corralling odds and ends like hair ties and spare change. Each whimsical catch-all is crafted, sand-cast, and polished by hand. Dimensions: 5.25" x 5.5" x 1.5"
Designed by Robin Cohen, she has her designs made, sand-cast, and polished by hand. They’ll bring a smile to someone as they serve as a thoughtful, everyday reminder that you care about them.